Carrying on with our experimentation... Today we looked into a couple of ingredient factors of the patty. The mince mix came out better this time with the thinner patties helping a lot. It was good to see that they help together - something I was very worried about initially. The breadcrumbs were excluded but I don't think we need the egg either. The onions really added a lot of moisture to the burgers and they actually benefitted a lot from being allowed to sit for a while before cooking. Spiced burgers are delicious but not complimentary to to overall burger profile. 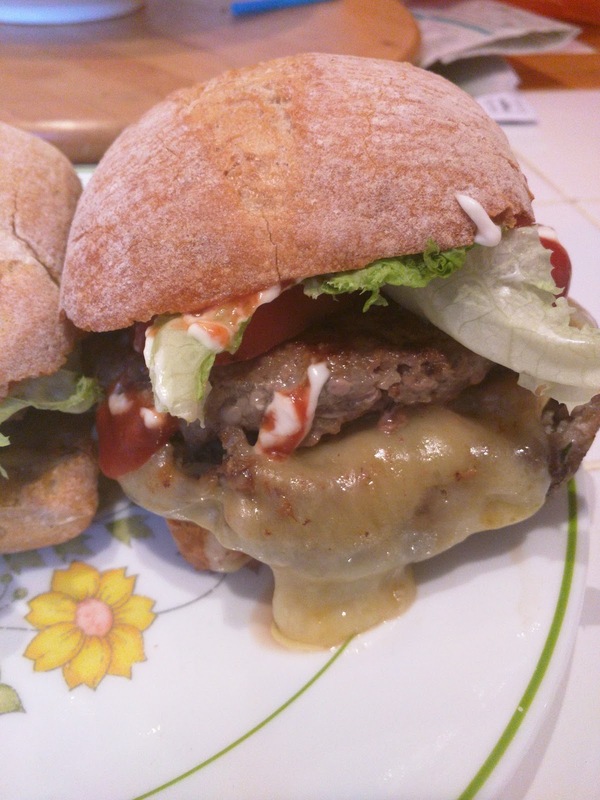 The beef/pork ratio helps lighten the weight of the burger but a 50-50 mix is too light on flavor. I think the 2 - 1 ratio is still maybe a little light on flavor and I think further experimentation here is required. Adding pork means that the patty has to be fully cooked through however this is true for beef for me as well at the moment. I am not sourcing mince of a calibre I'd trust at the moment. this is something I may explore later in the process. Pure meat patty without egg further exploring the ratios.